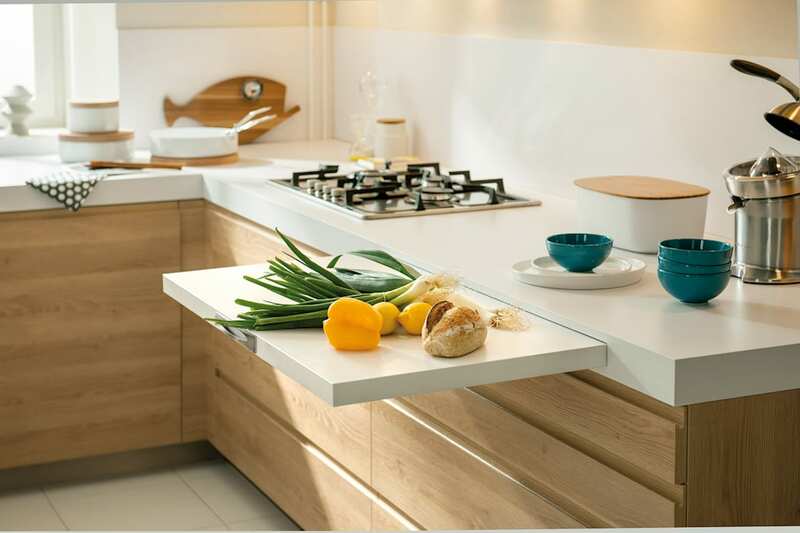 Maximize space with this smartly designed, handleless kitchen. With a Scandinavian feel the NEW Portland range is perfect for a small but perfectly formed kitchen. High density particle board finished in melamine to give a matt finish. Credits: Maximize space with this smartly designed kitchen. With a Scandinavian feel the NEW Portland range is perfect for a small but perfectly formed kitchen. High density particle board finished in melamine to give a matt finish with the look of Indian oak.